Top Performing and Top ranked Plato's Closet location For Sale in Long Beach. Plato’s Closet Long Beach, located in Hawaiian Gardens is a top performing and top ranked store in California with an incredible teen to young adult demographic. A new buyer can hit the ground running with this established location which is generating sales well over the average Plato’s Closet stores. The store is located just minutes from the hip Long Beach Towne Center, 605 Freeway and Newly $90 Million Renovated Hawaiian Gardens Casino. High visibility with two large monument signs and massive storefront presence. There are Starbucks, 99C only store, brand new 24Hour Fitness facility and many other high traffic businesses in the center or within walking distance. There is ample and comfortable parking directly in front of the store. The total square footage is 5,333 sq ft with large 4800 sq ft sales floor. This location has a strong customer pool with numerous High Schools, Community Colleges and State Colleges in very close proximity. The community provides a very strong and loyal customer base. Although this is a high performing store, there is still significant opportunity for further growth. A stronger local store and social media marketing effort getting more involved in local schools and community activities will drive more traffic and revenue. A hands on management approach from a new owner could drive higher performance from staff and provide an improved customer experience driving sales. Training will be provided and required by franchisor upon transfer. Current owner is selling as they are multi-store owner and they wish to down-size due to health issues. 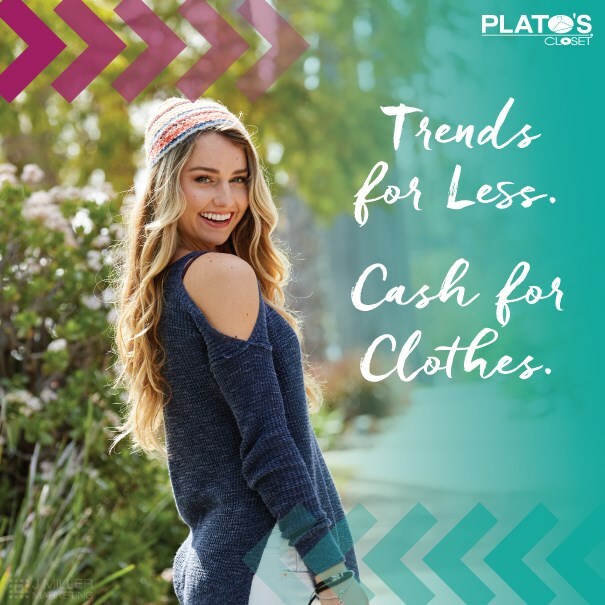 If you're looking for a profitable business with a proven brand and the opportunity to hit the ground running - Plato's Closet Long Beach is worth checking out! As the established leader in the teen resale-retail space, Plato’s Closet offers gently-used, brand-name apparel and accessories to both girls and guys at a fraction of the retail cost. With over 475 locations and more opening every month, Plato’s Closet is the fastest growing franchise in the teen retail space. Plato’s Closet was ranked the #1 Retail Franchise Investment in the $150,000 - $500,000 range by Forbes for the last two years and has been #1 in it's category in Entrepreneur's Franchise 500 on an annual basis. The system wide sales average across more than 475 stores is over $1M. The business and financial model for this brand is unparalleled. If there’s one constant with the teen to twenty-something demographic it’s change. While changing hair color, profile pics, musical tastes and other interests are common, nothing requires more attention than their ever changing fashion needs! The exciting part about this group is they spend money to stay on top of the latest trends – to the tune of about $50 Billion annually plus another $170 Billion that others spend on them!